Before Texas was Texas, it was a lot of things to a lot of different people. Comanche, Choctaw, French, Spanish, Mexican and more laid claim to Texas soil as their own, and no one wanted to share. The fights and alliances that arose out of the colonization of Texas shaped the state’s future. 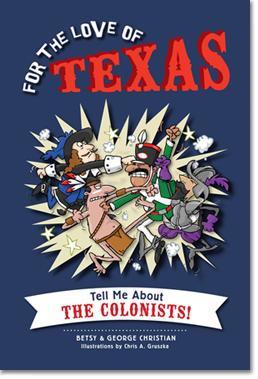 Find out all about the beginning of the state and the colonists who helped pave the way for the Texas we now know. Before Texas was a state in the United States, it was a state of Mexico called Coahuila y Tejas. Texans then—like Texans today—didn’t like being told what to do. 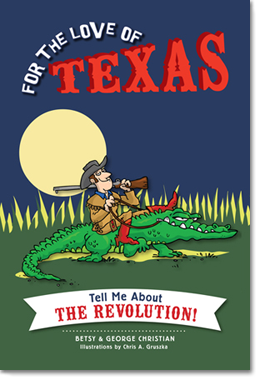 So in 1835, the land now known as Texas organized a revolt and fought for freedom from Mexico and for an independent Texas—that’s right, Texas was a country! But before it could gain independence, for over six months, Mexican troops under Santa Anna battled against the Texas colonists in a bloody war with effects Texans can still find today.